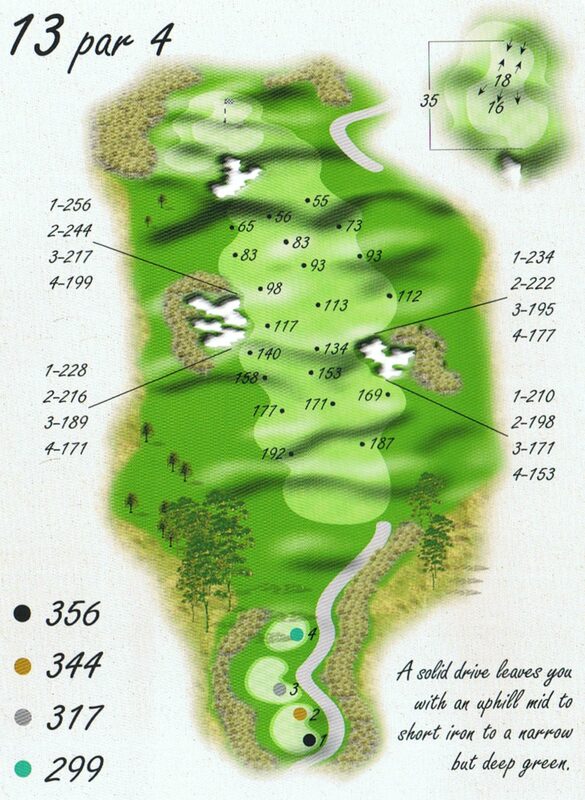 A middle length par 4 that places a premium on the accuracy of the drive. The landing area is heavily guarded with bunkers on both sides, short and beyond the landing zone. 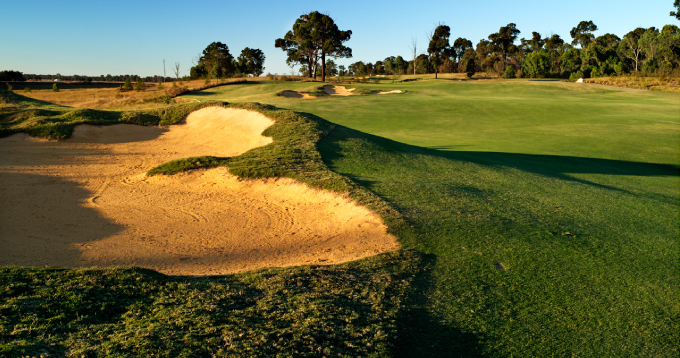 A good drive will be rewarded with a short iron approach to a well guarded green.